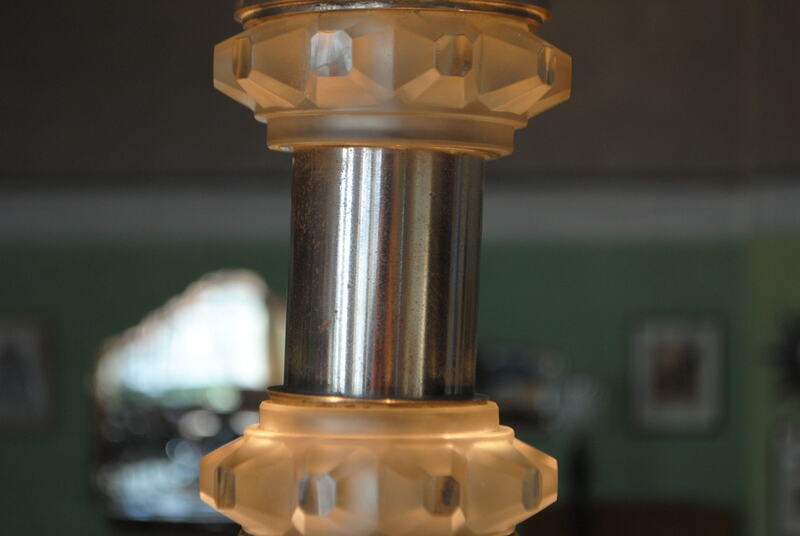 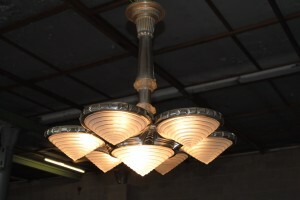 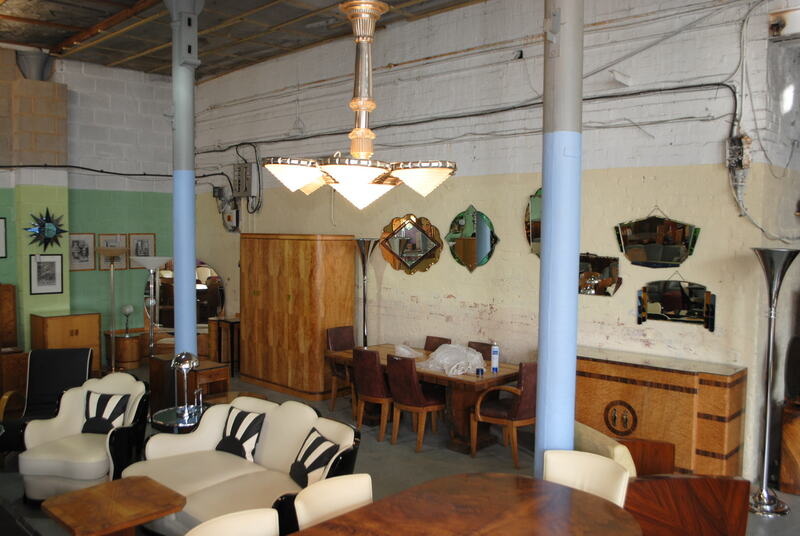 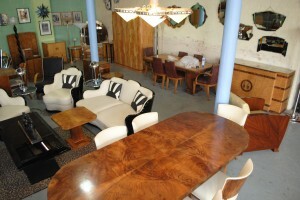 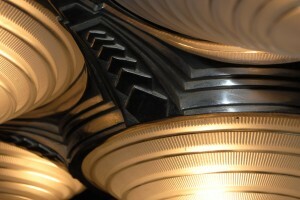 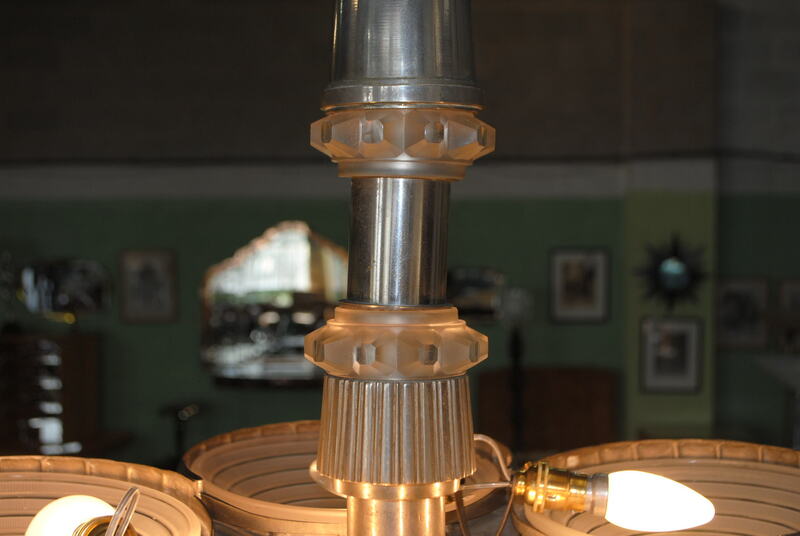 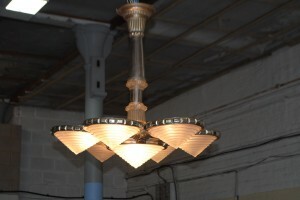 An original French Art Deco Georges Leleu Chandelier that is magnificent. 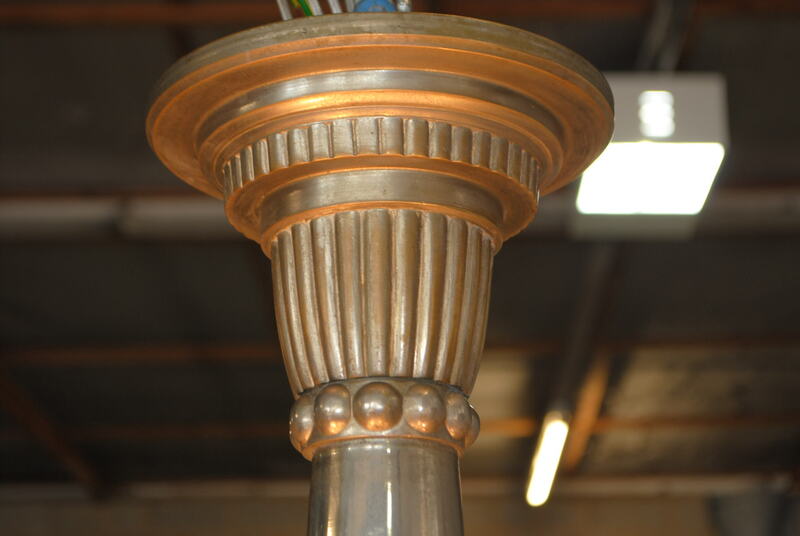 Nickel plated Brass with fantastic detail everywhere you look. 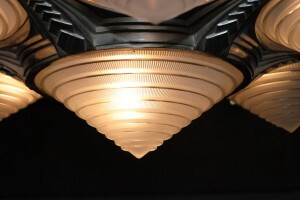 The shape and design is stunning. 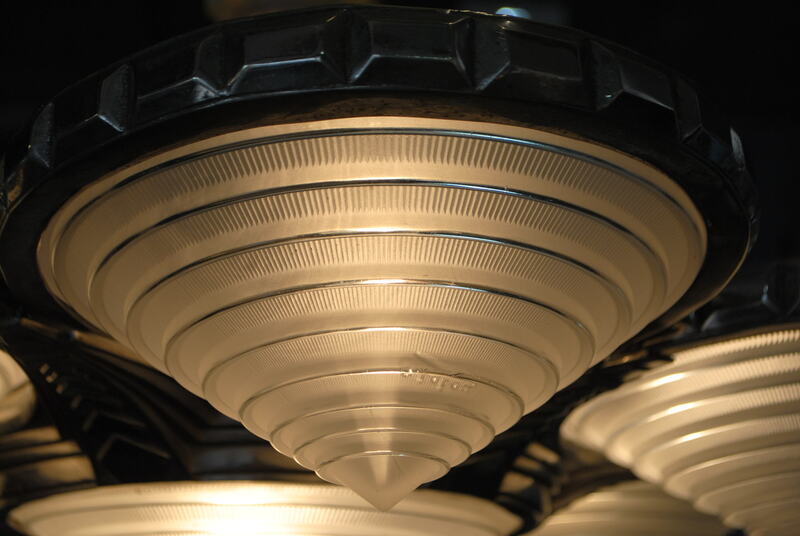 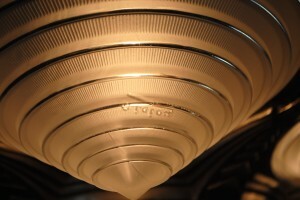 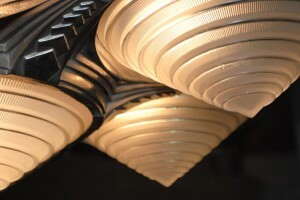 Each fantastic conical glass shade has been signed G leleu. 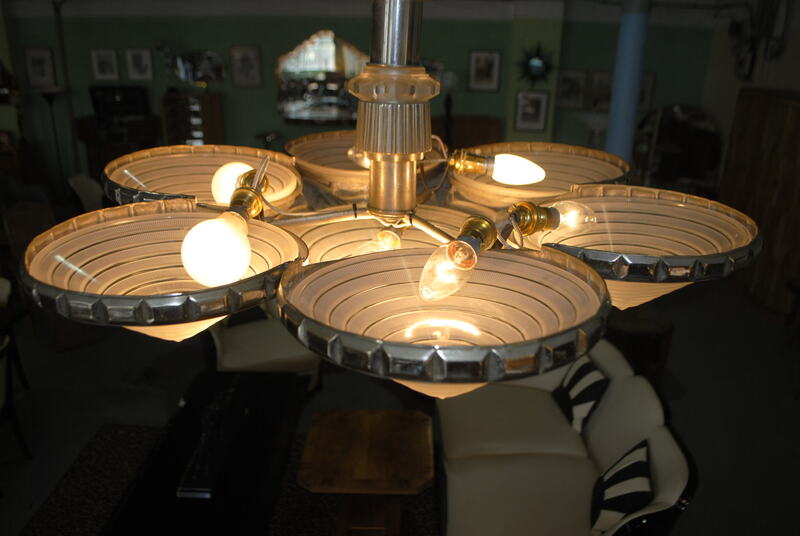 A Rare and striking chandelier.